Josh’s updated notes: The following Beat The Fish strategy guide was actually the first piece I ever did for this site in the summer of 2005. I’ve fixed it up graphically and structurally (seriously, I was using Frontpage 2003 until recently), but 95% of the text remains the same as it did when I put it out in those halcyon online poker heydays. It not only remains special to me for sentimentality, but the advice I doled out after a couple years of online poker under my belt is still going to be relevant today. I feel like I’m a better writer today that I was more than a decade ago, but the strategy is still solid. Beginners can still pick up a ton and I think more advanced players will still gleam a trick or two to earn a little extra profit. 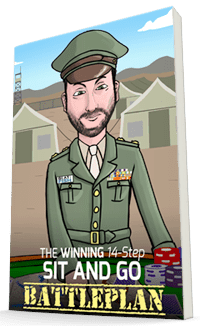 A lot of the guide may seem like common sense to today’s players, but keep in mind that in 2005 quality No-Limit Hold’em strategy advice was still fairly scarce. Guides designed specifically for beating the wild online tables of the day were virtually nonexistent. That’s what my unique angle was: you might know how to play, but you need to adopt an entirely new set of rules for “the fish”. I hope you enjoy it as much as I enjoyed sharing it with hungry players all those years ago. The whole strategy section is awesome. Please keep up the great work! With the surge that online poker has experienced in recent years the industry is at an all-time high. Whether players specialize in Texas Hold’em, Omaha Hi/Lo, 7 Card Stud, or even 5 Card Draw, a full table is never more than a walk from the couch away. Unfortunately, experienced poker players have almost shied away from the online poker infiltration because of the recent influx of inexperienced poker players. These clueless internet players are commonly called “fish” or “donkeys”. Isn’t the term “fish” a whole lot better, though? I mean, why pick on poor donkeys? If you call these degenerates fish, you can naturally assume the poker “shark” nickname. Who preys on donkeys? Anyway, while these unsuspecting players will often pay off better players with big hands, they will also draw out on those better players against the odds. Not only can this cost you a big chunk of your stack, it can cost you your patience and discipline as you go from proper poker play to the dreaded land of tilt – a situation where poker players lose their cool and thus play poorly after a bad beat. 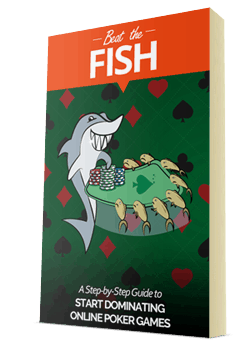 Our strategy tutorial seeks to outline simple yet effective methods to beating the fish, which allows you to keep playing your game. 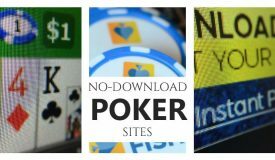 1.2 Part One: Where Did Online Poker Fish Come From? 1.7.5 Is Your Hand Counterfeited? 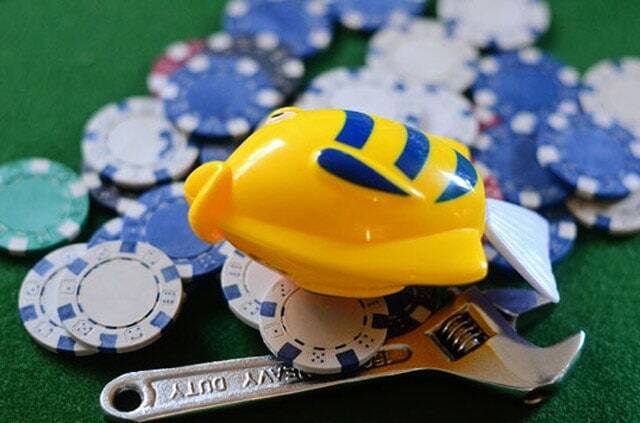 Part One: Where Did Online Poker Fish Come From? The explosion of televised poker tournaments and lipstick cameras has ushered in a new era of poker popularity. Thousands of new players flocked to the game, mainly the Texas Hold ’em variation, hoping to emulate their TV heroes for fame and fortune. The logical starting place would be the local cardroom, where new players can try to improve their game against real players. Unfortunately, casinos don’t exist in many places of the country. Others may feel too intimidated to enter a physical cardroom for the first time. Beginning in the early 2000s, startup companies began to cash in on poker’s new popularity and create online poker rooms. 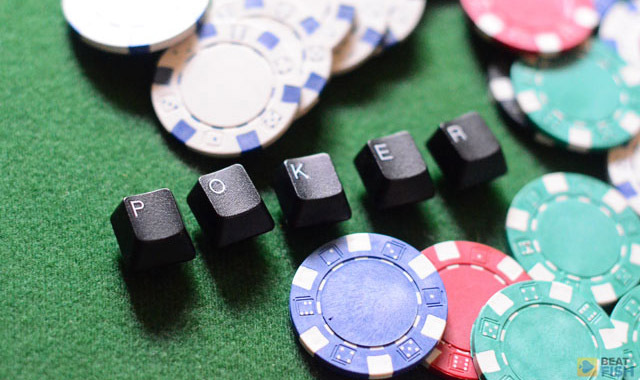 New poker prospects could play online anonymously from anywhere at anytime. 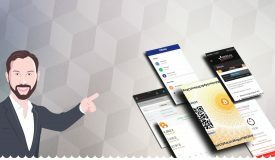 Just fund your account, choose your game, and play your cards against thousands of real players from all over the world. 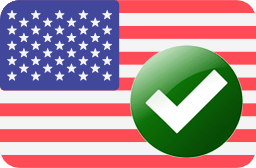 Over these 4 years, online poker has become a booming industry. New players who’ve just watched Daniel Negreanu crush the competition at a WPT event rush over to their computers to deposit with the poker room with the coolest commercial. Thousands of inexperienced players can enter any online game so long as they have the buy-in. This is the new breed of online player. They’ve watched Chris Moneymaker take home a couple million bucks by putting in his whole stack with nothing. They’ve watched professionals raise with A-5 offsuit from late position and catch two fives on the flop. Why can’t they do it, too? Usually they’re harmless. Players who know their stuff, read and study poker books, and stay on top of their game can make a killing off of this type of player. They’ll bluff off all of their chips when you have the nuts and you’ll love it. They’re also dangerous and can put you off your game. How many times have you been on Party Poker playing $1-2 No-Limit Hold ’em and raised 4x the big blind with A-K and get called by A-5 only to watch the flop come A-6-5 rainbow. “Great!”, you’re thinking as you reraise your clueless opponent for all his chips. You don’t catch a K on the turn or river and you’re left wondering why he stayed in the hand at all. Why do these players do that so often? What’s the point? How many times have you seen this open up the betting action and the smooth caller comes back over the top of the minimum-raiser for a huge raise? Everyone folds. Why don’t they either call or make a real raise? Or why don’t they go find a Limit game if they’re going to play like that? Oh, well. Anyway, everyone folds back to you and you just call the minimum raise hoping to trap the fish. The flop comes J-4-9 rainbow. Another seemingly great flop for you. You make a good pot-sized bet here and the fish comes over the top and raises you for all you’ve got! You decide to call as he turns over J-2 offsuit. Finally you’ve got him! The turn brings a K and the river brings a deuce. You pound your computer monitor as you click to exit the poker room. You’re down $400 with two premium hands. “Why me?”, you ask the Poker Gods in the sky. It happens. These are real hands that I’ve been involved in, and something similar will probably happen to you (if it hasn’t already) if you play online poker much. My goal is to teach you how to keep these situations to a minimum, and if it does happen anyway, how to deal with it without blowing off anymore of your chips. The keys are hand selection, proper play, and discipline. I’m sure that you’ve read about hand selection and looked over your favorite author’s starting hand guide. It will tell you the recommended hands that you should play from early, middle, and late position. There are exceptions, but their recommendations are usually a very good guide to use. If you want to keep yourself out of trouble and stay above the gutless play of the online fish, you’ll take your tight-aggressive author’s word and stick to good starting hands. I even kept a photocopy of Matthew Hilger’s starting hand guide from Internet Texas Hold ’em next to my computer for a while. And remember, we all play garbage like J-7 offsuit at times, but try to keep those temptations to a minimum. It’ll save you a lot of money in the long run. In Beat Texas Hold ’em, Tom McEvoy suggests that “it is unprofitable over the long run to play anything other than Aces, Kings, AK, and sometimes Queens from the first position.” He’s right. Position is power in hold ’em. You can loosen your starting hand requirements as you get closer to the button, but play very selectively from early position. You’ll have to act first, and you won’t know where you stand unless you’re holding strong cards. Most of your opponents will be playing a combination of good starting cards (even maniacs can wake up with AA) and bad cards. You’ll only be playing the good cards. Don’t sink to their level because you’ll probably be stuck with a borderline call that could cost you a lot of money. Even though you’ll be playing big cards most of the time, keep an eye on the pot when you’re in late position. This is a great time to play suited connectors if 4 or 5 players are seeing the flop with you. The pot odds justify a call from you in this situation, plus these types of hands can turn into real monsters if you hit the right flop. If you’ve been showing your opponents good cards, you may even consider a raise in this situation. Your opponents will put you on a couple of big cards, and it can pay off when you hit two pair or a set on the flop with your 4-5. A couple of table situations make it profitable to play small and medium pocket pairs (2-2 through 10-10) from any position. If you’re in late position and you have at least 4 or 5 callers ahead of you, definitely play any pocket pair. Also, if your table is passive and you don’t encounter a lot of preflop raises, than you might consider playing any pocket pair from middle and late position. Just remember, if you don’t have an overpair to the board on the flop, NO SET, NO BET! When your table is full of stupid players who are hitting big hands with trash cards, you might be tempted to play those same trash cards hoping to hit those monsters, too. You can try it. 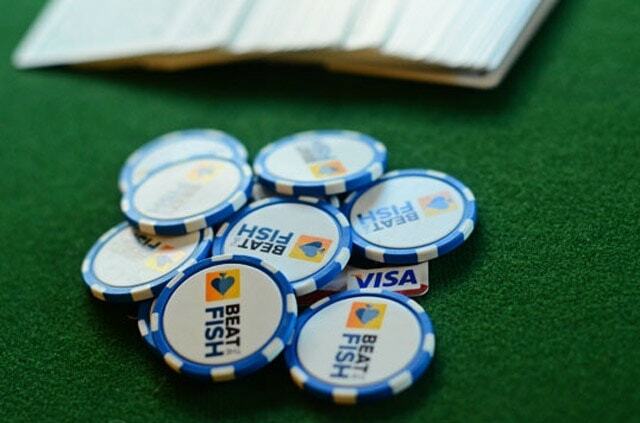 But the problem is that maniacs and fish like to intimidate other players by constantly raising the pot preflop. It’s going to cost you to see the flop, and most of the time you’re not going to hit anything with trash hands. As Doyle Brunson recommends in Super System 2, you usually want to be playing the opposite style of the opponents at your table. If your table is full of wild loose players, you want to tighten up and wait for the right cards to snap them off. I don’t suggest getting involved with mediocre hands and trying any fancy plays at most loose online tables. Your opponents aren’t going to pay attention, and will probably call you down with any two cards. Doyle’s advice also works well if you’re playing at a tighter site like Ultimate Bet or Full Tilt (editor’s note: remember those guys?). At a table full of tight players, I often mix it up with lots of pot-sized raises from late positions. Most of the time you’ll pick up the blinds and if you do get called, you can usually win it on the flop if all blanks fall. The consensus among No-Limit Hold ’em experts is that a “standard” raise is 3-4 times the amount of the big blind. I agree for real cardroom poker. But online against loose players, one of the best defenses you have is increasing the amount of your “standard” raise, possibly to 5-6 times the big blind. 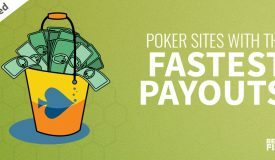 If your online poker site has a “Bet Pot” button, raise at least by this amount. By doing this, you make it a little harder for bad players to stay in with bad cards that will draw out on you. I definitely recommend a larger raise for tricky pocket pairs like K-K and Q-Q. If two players call your raise instead of five when you have K-K and an Ace comes on the flop, you are more likely to still be holding the best hand. I can’t stress this enough about online poker: RAISE YOUR BIG HANDS AND RAISE THEM HARD! I’ve learned to rarely slowplay anything at all unless I have the absolute nuts. Slowplaying will just get you in trouble and often lose you a big pot, especially online. Lee Jones advocated this same style of play in Winning Low-Limit Hold ’em. He’s right. Sure, you’re often going to end up winning a small pot when no one wants to call your raise. Why get greedy? You won the pot, didn’t you? IT’S ALWAYS BETTER TO WIN A SMALL POT THAN LOSE A BIG ONE! Tell me a single time where that isn’t true. 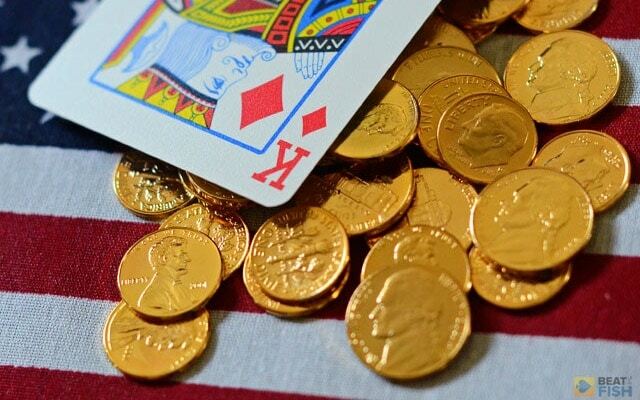 Okay, so you’re playing the right cards and raising them before the flop, now what? After you judge your own hand, you’ve got to get good and reading the board and reading your opponents. Always look for straight and flush possibilities. Think of what the best possible hand is on the flop and what your opponent is likely to be holding. Look for straight and flush possibilities. If you’ve been studying their play, you should be able to make a fairly good read on their possible hands. If you think that you have the best hand on the flop (usually at least top pair with a good kicker), protect it against loose opponents. Why let them draw out on you for cheap? 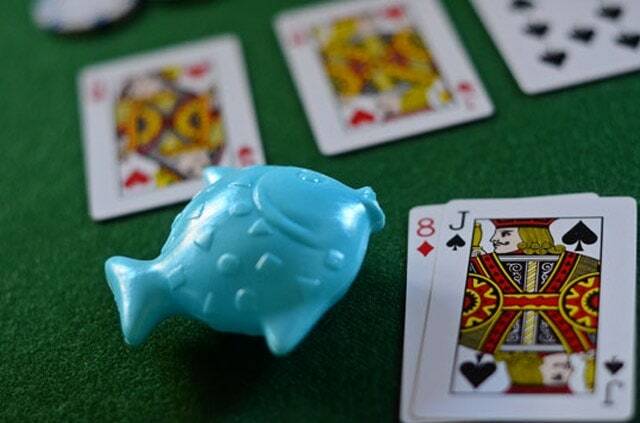 If I’m heads-up and out of position on the flop holding A-K offsuit with board of A-J-8 with two diamonds, I’m going to make at least a pot-sized bet to try to make my fishy opponent pay for his flush draw. The same thing goes if you see a straight draw on the board. Lots of players will play anything from any position, so no matter how unlikely it seems, you have to protect against any possible draw. 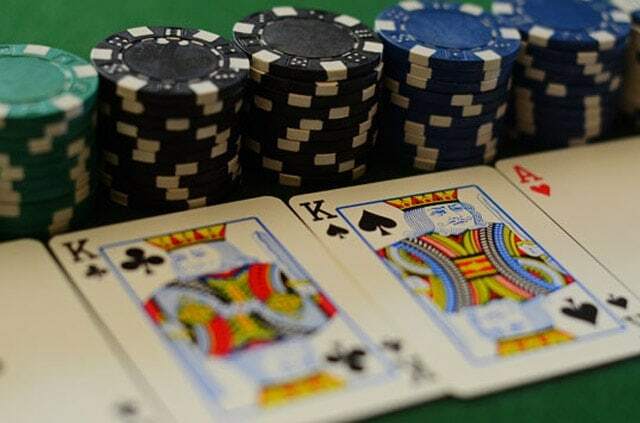 If you have a strong hand with multiple opponents and two suited cards or two connected cards come on the flop, you’ve got to bet at it. And bet even more with multiple opponents. There is no worse crime than allowing your opponents to draw out on you for cheap or for free. Don’t do it! Be very careful when the board flops a pair, three suited cards, or three connected cards. A flop of J-4-4 rainbow might look harmless, but many bad players have the “Ace-anything” mentality and will routinely play A-4. Don’t bet much at that pot with A-J. Also, one or more of your opponents is likely to have flopped a big hand with three suited or connected cards on the board. People like to play suited and connected cards, so I’d play extremely cautiously, especially if many opponents are seeing the flop with you. If anyone bets a substantial amount in this situation and you don’t have the nuts or a draw to the nuts, you’ve got to lay your hand down. 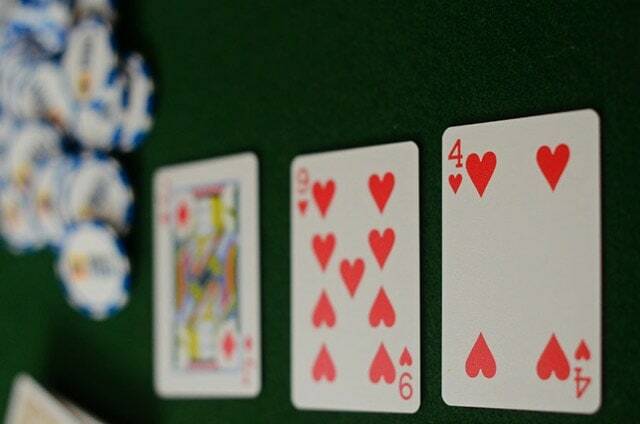 Unless you have the nut straight, nut flush, a full house, or better – don’t slowplay on the flop! I will bet out the top set routinely, unless it is an unsuited board with no straight possibilities. I’ll check it down then. The fish will draw to anything. Don’t let them do it for free. 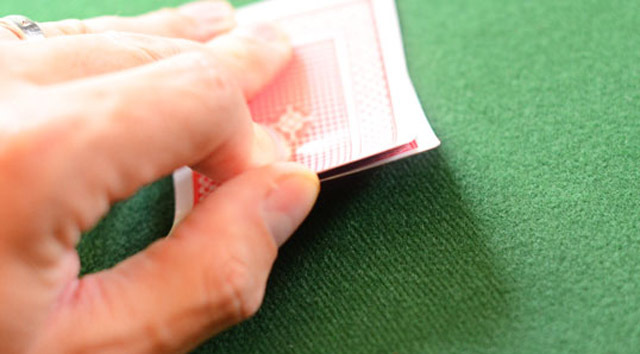 If you do hit something huge on the flop, then you’ve GOT to check it down. You’ve essentially crippled the possibilities of there being other good hands out there. If you want any action on your hand, check your hand and let them catch up a little on the turn and river. A-K, often referred to as “Big Slick” is a drawing hand, not a made hand. It’s a great drawing hand because when you pair up the board, you’re going to have top pair with top kicker. But you’re only going to hit a pair on the flop with A-K about 1/3 of the time. The other 2/3 of the time if someone bets, just fold and be done with it. Big Slick is nothing without help from the board, unlike A-A or K-K. If you don’t pair up on the flop, you can try to take a stab at the pot if you’re heads-up and in position. Otherwise, check it down and fold to most bets. Why keep drawing with a very thin draw? That’s just a bad way to lose more money. 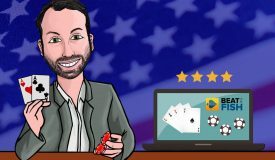 My poker mentor, who’s been playing poker for over 40 years, told me about an interesting method that helped him get through streaks of really bad beats. Sometimes he’ll play No-Limit hold ’em without eveer raising before the flop. He’ll smooth call every hand he intends to play, regardless of how huge it is. 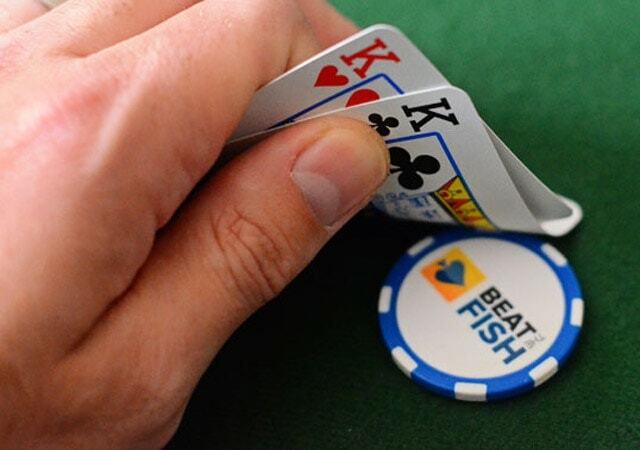 It teaches you to rely on the flop and read your opponents properly. It can also save you some money if the flop turns out really ugly for you. Just call with all of your hands and read the flop. If you don’t get any help, obviously you’re out. If you do get help but the board is dangerous, see what the other players do. If they bet anything substantial, you must entertain the possibility on folding your hand. An advantage to this method of play is when you’re holding K-K or Q-Q and the flop comes out with an Ace. You check and fold to a decent-sized bet. You saved money by not raising preflop. 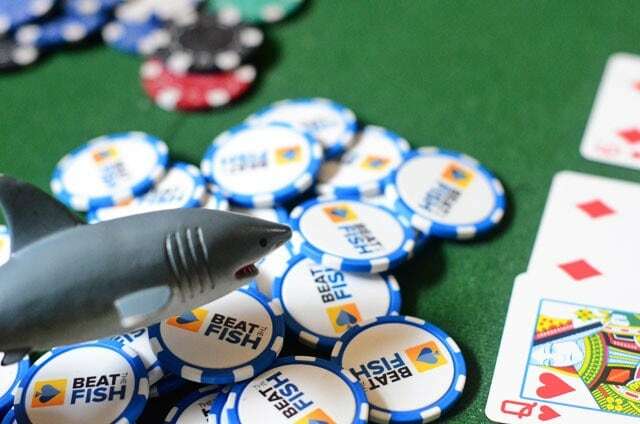 This can be a dangerous way to play if you don’t read the flop right, but it can be a good way to learn to read your opponents on the flop and can save you money in certain situations. Consider raising at least 5-6 times the big blind. Essentially, I recommend a Flop It or Fold It strategy for loose online hold ’em – especially for beginners and intermediate players. If you keep playing a drawing hand, you’re usually not going to hit your draw and you’ll usually be going against the odds to try. If you flop an open-ended straight or flush draw, you’re a little worse than a 2-to-1 favorite to hit your hand if you stay in to the river. If you make a weak call on the flop, miss your draw on the turn and fold, then you might as well have calculated yourself a 4-to-1 favorite for seeing just one extra card. You’re usually going to need a couple of other players calling on the flop to get the right pot odds to continue with your draw. And I don’t recommend drawing out of position. If you’re last to act, at least you have one advantage over your opponents. Plus you can occasionally mix it up by raising with your drawing hand. This will make players tend to check to you on the turn, allowing you to check behind them if you miss your draw and bet again if you hit it. One note on draws: drawing to the nuts or having two overcards greatly increases your hand’s value. For example, if you have A-K suited and flop another two cards of your suit, you’ll have a draw to the nut flush and also outs to hitting your overcards and winning the pot. 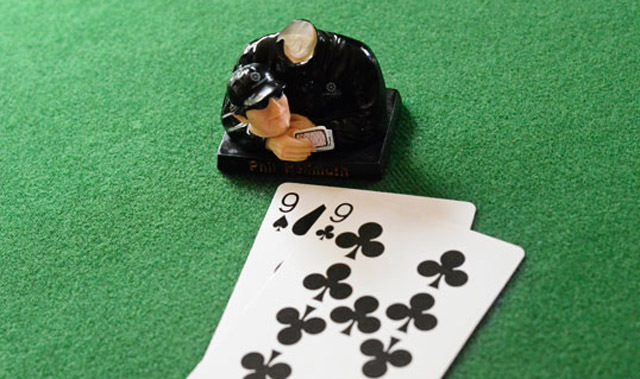 Play in Texas Hold ’em, especially No-Limit, is defined by the flop. This is where you want to take control of the hand and you’ll pick up lots of pots by winning it right there. With many players drawing to straights and flushes, you also need to learn to adjust your play on the turn and river. On the flop, you’re going to bet out with suited or connecting cards on the board. When you’re last to act, many opponents on a draw will make the weak play of checking and calling your bet. If the turn completed the flush or straight and your opponent has it, he’ll probably check to you again hoping to check-raise you or trap you into betting again on the river. Don’t fall for it. I’ll often check behind them and make them bet on the river if they have a good hand. If he makes a big bet and there’s an obvious straight, flush, or set out there and you can’t beat it, think about laying your hand down. If it’s a pretty small bet and the pot is a decent size, you’ll probably want to call and keep him honest. As Lou Krieger suggests, you can’t play being afraid of the nuts all the time. If you do, you’re giving up too often. A very important play is knowing when to check on the river. If you’re first to act and you put your opponent(s) on a missed draw, there is no reason to bet out on the river. If you bet and they’re holding a missed draw, they’re just going to muck their hand. However, if you check, you send the signal that maybe you missed a draw, too. This gives your opponent the opportunity to bluff and you can make some extra money in the end. If they check behind you, you win the hand anyway and the pot is the same size as if they had folded their hand to your bet. This is a play that I like to use when I have a strong hand (usually at least two pair) and I don’t think my opponent can beat me. If I’m last to act, I’ll bet on the flop. Then when I get checked to on the turn, I check behind him. This will probably make your opponent think that you have a busted draw and you can make some extra money when you raise him on the river. Another opportunity for a value bet comes on the river when you know that you have the best hand but you don’t think anyone else has much. Try betting the minimum amount. This can make your opponents suspicious and could induce a raise or they may have something good enough to call with. At least you make a little extra in the end rather than betting your opponents out of the pot. Know when you’re beaten on the river. I see players time and time again calling a big bet with two pair or a set on the river when there’s four to a straight or flush showing. That’s not a good play. The odds are very high that someone has one card to complete the straight or flush, especially with more than one opponent. I know that they shouldn’t have stayed in with the cards necessary to complete an 8-high straight, but they do. Usually you shouldn’t call a substantial bet in this situation without that flush or straight. 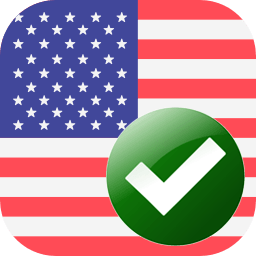 Know when your hand is counterfeited – decreased in value by the board. If you get to see a free flop with 5-3 and the board comes J-5-3, you’re going to have a pretty strong hand. However, if the turn comes with another J, you don’t get credit for having three pair! You merely have two pair – Jacks and fives. Another holding a Jack has you beaten. This is the one facet of poker that is most under your control and yet can be the most difficult to master for some players. You must have discipline and patience to play winning poker. You must have the patience to wait for the right hands, and the discipline to stay off tilt. Getting bothered by a player or angry by how the last hand turned out can be the undoing of your hard day’s work of poker. It is difficult to combat and we all go on tilt at times, but you must learn to let the previous hand go before playing the next one. If you can’t, just sit out and walk around for a few minutes. The game will be there when you get back. Or try switching tables. In all honesty, you’re not making the best out of your poker career if you don’t have endless discipline and patience. That’s it. 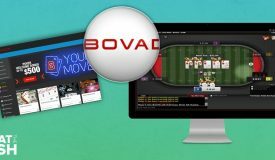 There are many specific situations that you’ll run into playing poker that I haven’t covered here, but I believe that this guide gives you a solid foundation to employing the right strategy for the craziness of online poker. If you follow the strategy that I have outlined, you should find yourself tearing your hair out less about the reckless idiot who drew out on your pocket Kings. 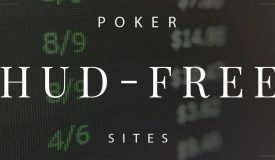 If you’re wondering which online poker room best suits your playing style, I’ve reviewed a number of them and given our opinions on each of them. If you’re looking for specific tips on how to play your favorite site, we have that in our reviews, too. May you always beat the fish. I’ll see you at the tables… winning more.